It was my son’s 5th birthday earlier this week, and naturally the camera came out. 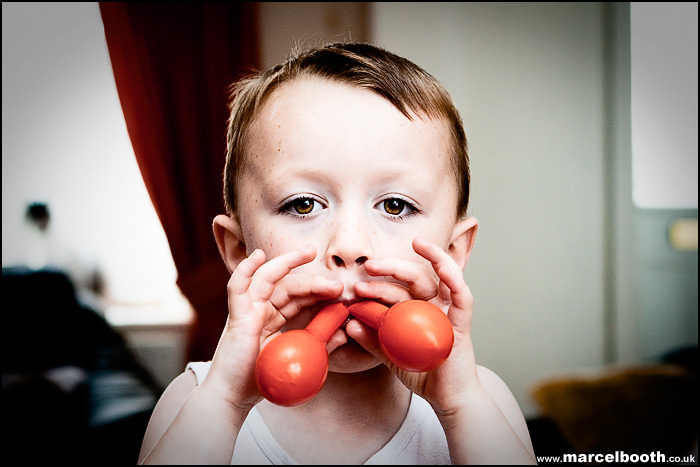 I caught him trying to blow two balloons up at the same time (unsuccessfully I might add). I’ve also been trying new processing styles, using the tutorials from Chromasia. Processing certainly worked! love this cheeky little chap. I’ve posted a little explanation of what I did to the processing, in the thread on Talk Photography.